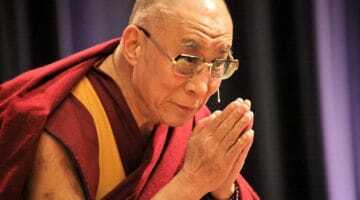 Photo via Westlock Meditation Centre on Facebook. 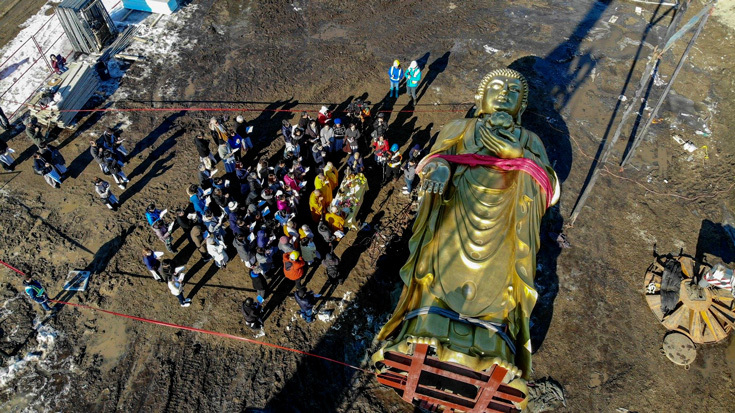 A 50-foot-tall, 25 tonne golden Buddha statue was erected at a Buddhist center in Westlock County, Alberta, Canada last week. 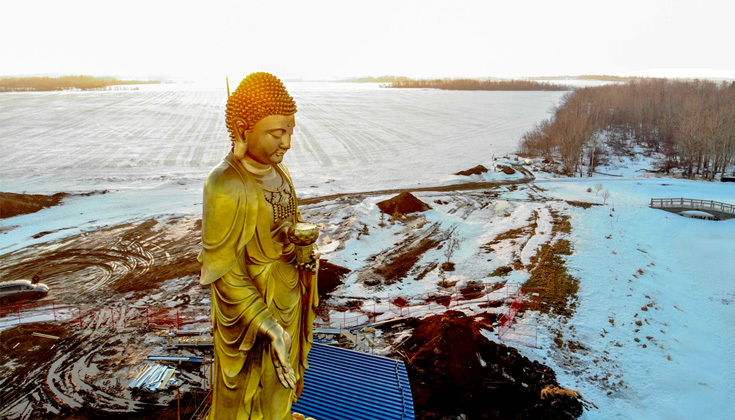 The statue stands atop the Westlock Meditation Centre, off a rural road, 72 kilometres northwest of Edmonton. 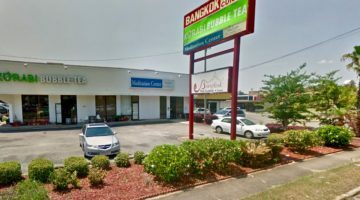 The CBC reports that it serves as “a reminder of the importance of seeking peace in life.” The center provides courses and summer retreats for those looking to practice Buddhism. 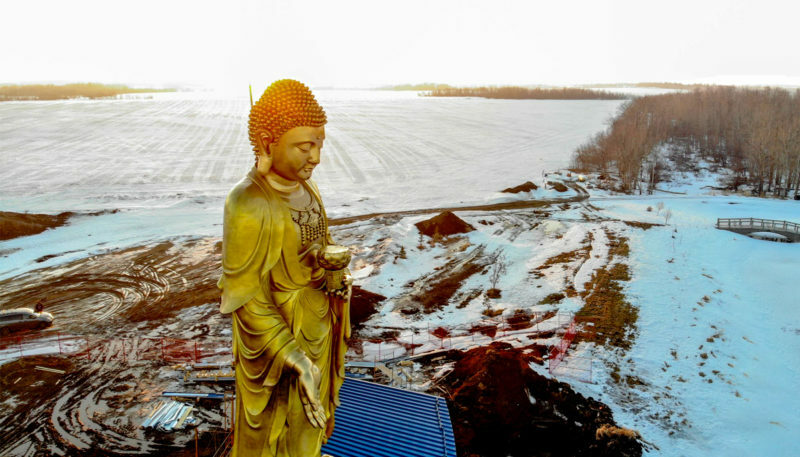 The statue arrived from China in January, but required work to bring the structural steel up to Canadian standards. About 80 people joined in a ceremony of blessing before two cranes lifted the statue onto its lotus-shaped pedestal, making it nearly 70 feet tall in total.